It has a lot of benefits of hiring a divorce attorney with plenty of experience. If you do, you will notice all the benefits below. It’s important to have someone who knows the law and how to fight for what you deserve. We know this is a difficult time and that’s why you need someone by your side looking out for your best interest. It’s a good decision to hire a right one. 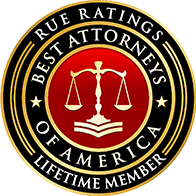 Benefits of hiring a good divorce attorney as follows.